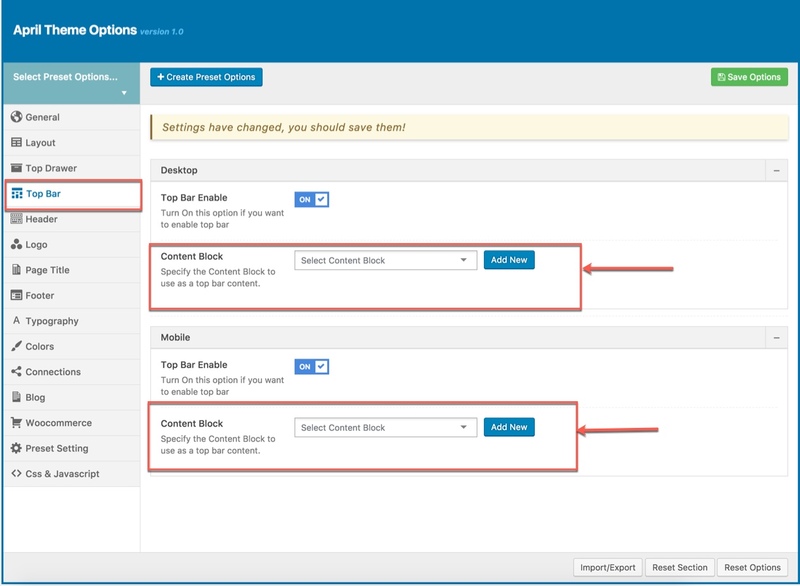 Content Block — is specific layout of Visual Composer elements saved, then you will be able to reuse it to display in Page Title area, Top Bar area, Top Drawer or Footer area (configure in Theme Options or Preset, and only Page Title area in Page Options). 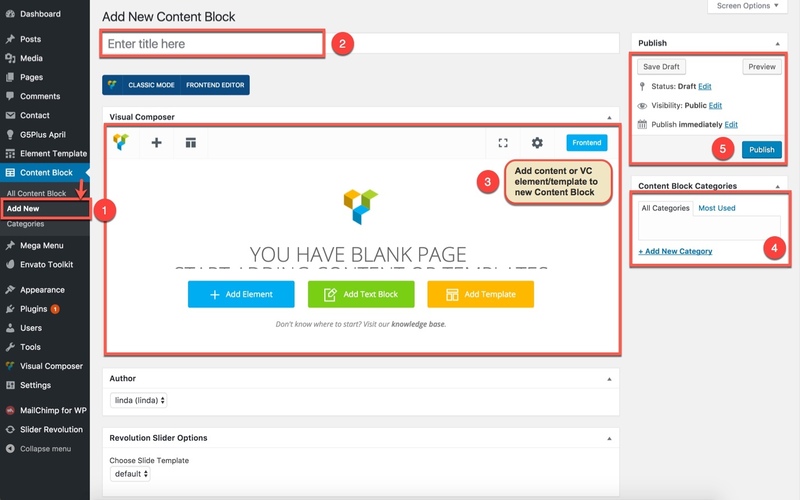 By using Content Block you will be able to save tons of time in case you need to create specific layout on and apply it to be Top Bar/Top Drawer or Page Title/Footer. The screenshot below is all content block in April theme demo data. 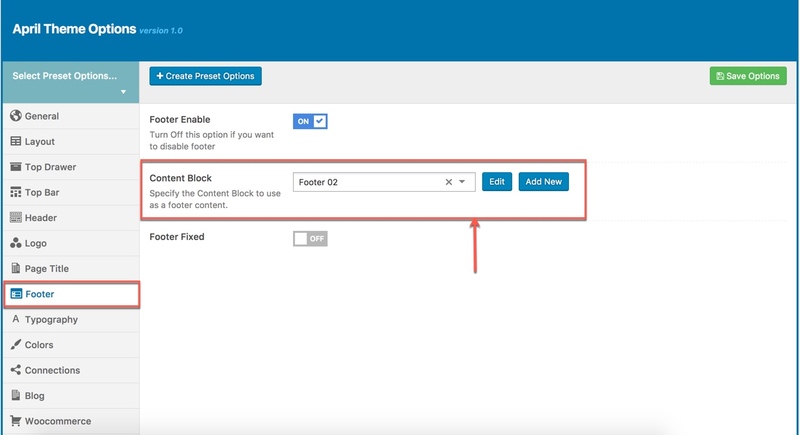 You can manage all your content block here by edit/delete/view. 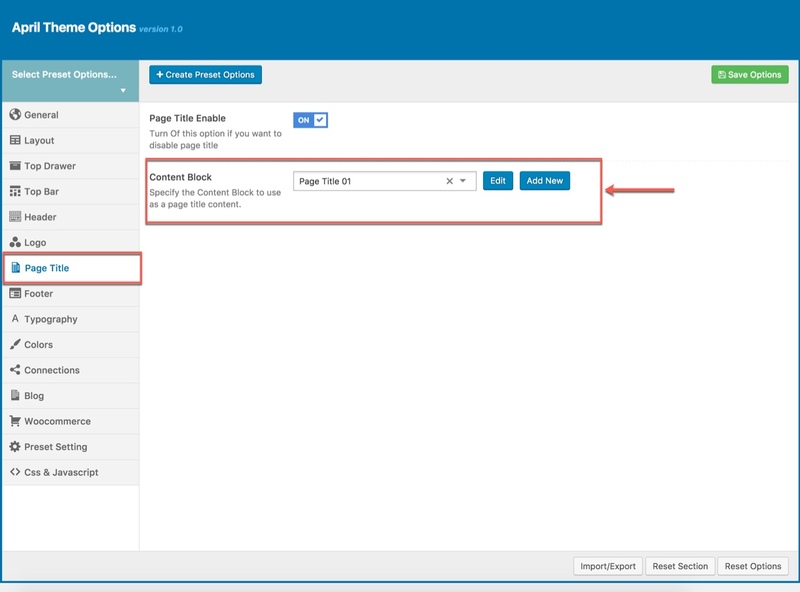 Add new content block in April theme demo data. 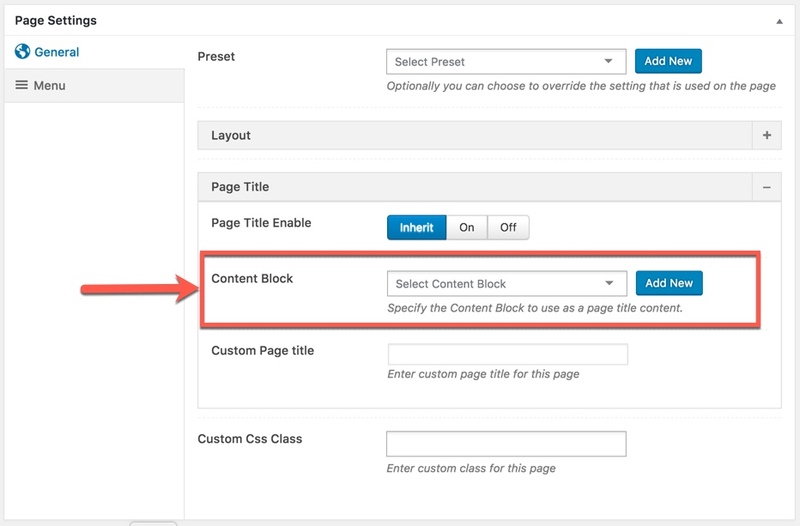 You can also specify the Content Block to display as Page Title content in this page/post only. 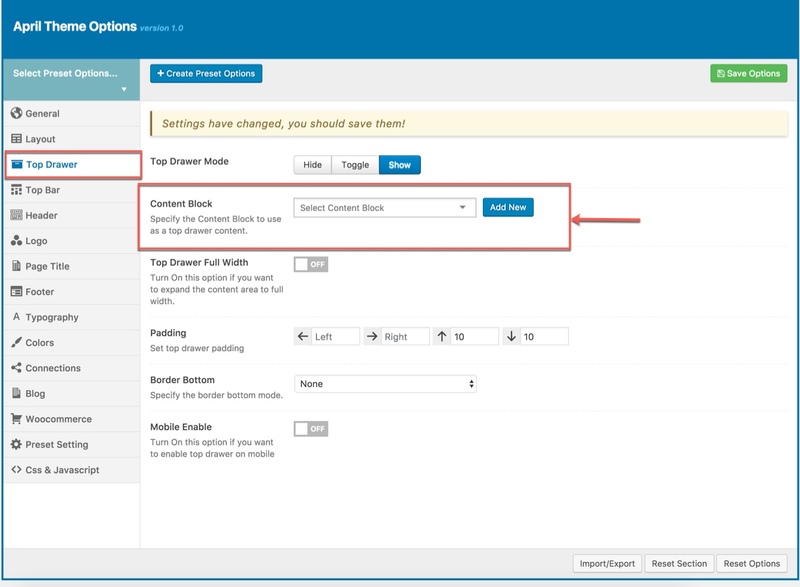 If you have any troubles configuring your website applications with the above settings you can contact the Support Center by signing up and submit a new topic. G5Theme Support Team will be glad to assist you.